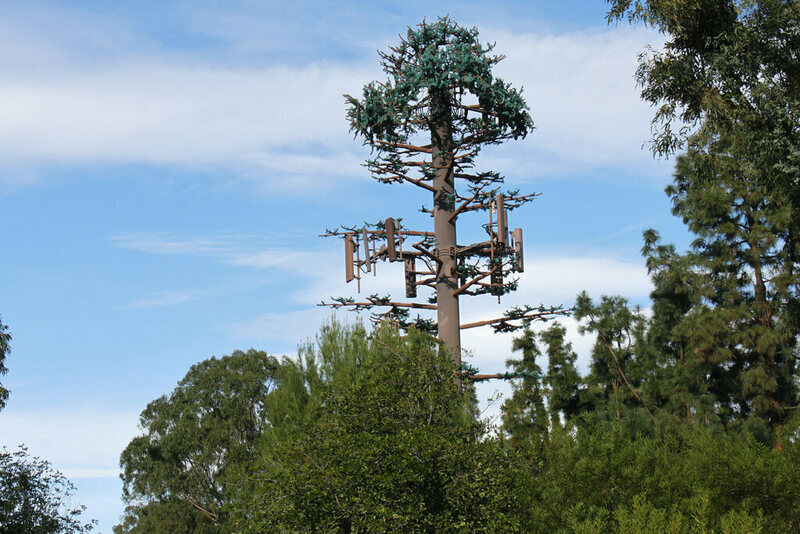 With the rise of mobile phones in the 1980s came ever more cellular network towers, and, of course, not-in-my-backyard (NIMBY) criticisms from nearby residents who saw them as eyesores. Thus, an array of camouflage techniques emerged alongside this expanding technology. Towers were hidden inside church steeples, coupled with water towers, disguised as flagpoles and otherwise made to stand out less in their environments. Of course, there’s not always another structure handy to help hide a tower. So, in the early 1990s, a new idea took root and towers designed to look like trees began to crop up.